Excellent reading of a smart, fresh look at a fantastic yet believable future. Dark yet fun with great characters and a richly realized world. 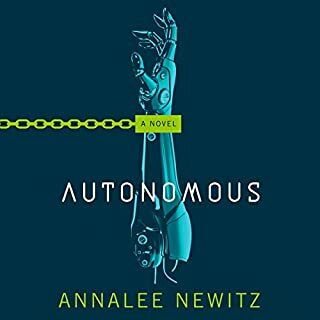 Jennifer Ikeda does an excellent job bringing life to a diverse cast of humans and bots. I'll be looking out for more of Annalee Newitz's work. This compassionate, personal, and illuminating work of nonfiction draws on the author's celebrated work as a director of socially conscious theater to connect listeners with the power of an ancient artistic tradition. 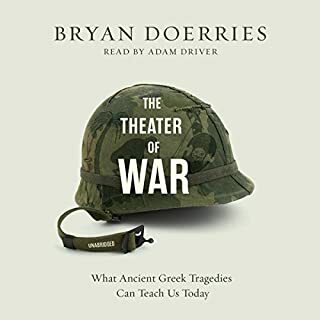 For years Bryan Doerries has been producing ancient tragedies for current and returned servicemen and women, addicts, tornado and hurricane victims, and a wide range of other at-risk people in society. Gripping scene readings, thought-provoking accounts of people's relationship to fictional and real-life tragedy. Fantastic book. 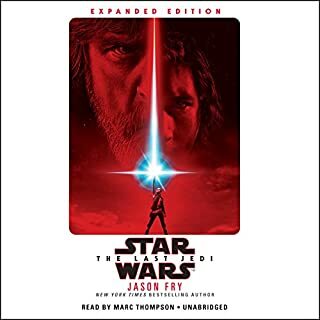 Written with input from director Rian Johnson, this official adaptation of Star Wars: The Last Jedi expands on the film to include scenes from alternate versions of the script and other additional content. From the ashes of the Empire has arisen another threat to the galaxy’s freedom: the ruthless First Order. Fortunately, new heroes have emerged to take up arms - and perhaps lay down their lives - for the cause. A brilliant companion piece to the film. Expands on the story/lore/characterization nicely. Great reading too!